The football season is here and you can show your support for your favorite team by getting customized helmet decals. Which teams are going to pull a surprise this season? We’ll wait and see. 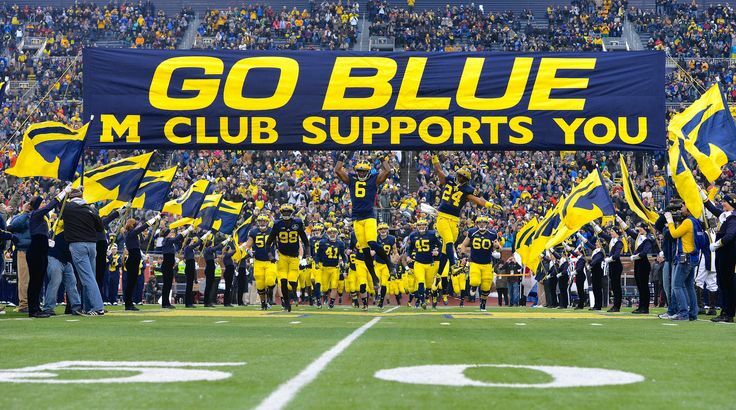 But until then, here are the top ten football teams with the best helmet decals. Boise State Broncos Boise State has been making heads turn with its uniform in recent years. The mix of orange, blue and white has made for a great uniform combination. The team’s oversized logo decals on their helmets give them bonus points. Texas Longhorns You won’t see a lot of intricate details on the Texas Longhorns. However, the iconic look of the team’s uniform cannot be denied. These jerseys date back to the 1960s. North Carolina Tar Heels The Carolina blue is undoubtedly one of the most beautiful shades in college football. 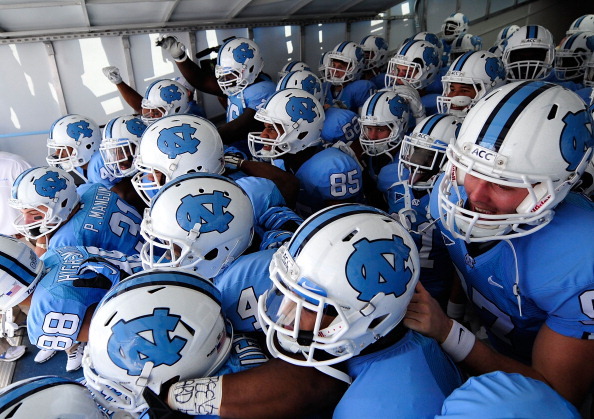 This color simply makes UNC football’s uniform great. There’s a brilliant addition of argyle to the team’s jerseys, pants and helmets. Alabama Crimson Tide The crimson jerseys of Alabama have been adorned since the start of the 20th century. The team’s signature and the numbers on the helmets were added in 1957. Ohio State Buckeye The classic combination of gray pants and scarlet jerseys of Ohio State make them stand out. But even more attention grabbing are the buckeye leaf decals on the helmets. Tennessee’s Volunteers The traditional white and orange uniforms of Tennessee have always been excellent. The checkerboard patterns that are on their helmets and pants put the helmets among the top ones in college football. 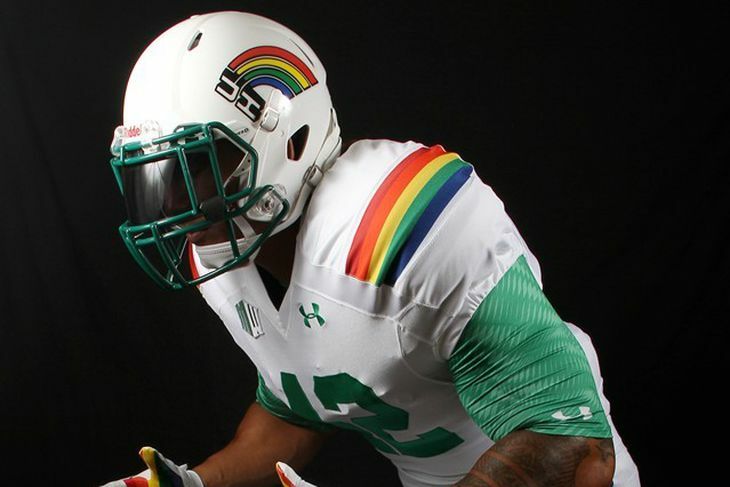 Hawaii Rainbow Warriors Hawaii’s helmets decals spot a retro rainbow that pipes around the University of Hawaii logo. These decals are perfectly accentuated by the all-white helmets and uniforms. Notre Dame The gold-flecked domes of Notre Dame combined with gold pants and navy jerseys make an iconic look. 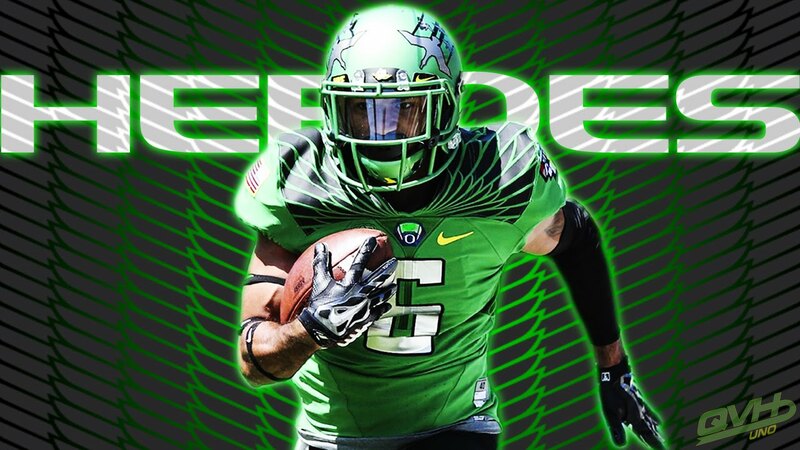 Oregon Ducks The team has the most creative uniform and helmet combo in America. Remember when the Duck’s helmets stood out with images of Lewis and Clark? Michigan Wolverines The University of Michigan’s blue and maize jerseys and pants perfectly match their winged helmets. Hope you are now inspired enough to create your own amazing football helmet decals. Discuss ideas with your football team and contact us for customized football helmet stickers.